We are always interested in recruiting new talent to the Olde Bones. In general, athletes should be at or above the ﻿70% age graded performance﻿ standards in the last 18 months, extenuating circumstances notwithstanding. If you aren't quite at the 70% mark, we do offer coaching and are more than willing to help you achieve that standard if you are close and interested in running with us. Want to meet us and see if we're a fit? Join in for a Sunday long run (long is your definition, not ours) at 9 am. We rotate between the bike path in Burlington and the Rail Trails in St. Albans and Cambridge. Shoot an email to see where we're meeting that week. 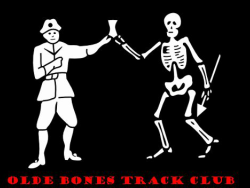 Interested in joining the Olde Bones? Email us at oldebonestc@gmail.com and tell us a little bit about yourself.